You guys, this is one of the best salads I have ever had. The idea is absolutely genius -- all the flavors of a BLT, which in and of itself is one of my favorite things, in salad form. I added some chicken to make this a little bit more meal-like, and it was a delicious addition. I can't wait to have this again. I think it's going to make it onto our dinner table a lot this spring and summer. I've linked to the original recipe, but I took lots of short-cuts with this to make it even easier. I used store-bought croutons (but the Texas toast kind, so they were more delicious than "normal" croutons) and bottled salad dressing. I would have used my grandma's homemade buttermilk dressing if I had a jar on hand, but I didn't. One day I'll have to share that recipe with you, because my grandma makes amazing buttermilk dressing. But I'm getting side-tracked. The point is, this salad is delicious, fresh, crisp, and flavorful, and I think you should make it really really soon. 1. Preheat oven to 375 degrees. Arrange bacon in a single layer on a rimmed baking sheet. Bake for 15 to 20 minutes, until bacon is crisp. Crumble the bacon into large pieces. 2. Meanwhile, season chicken cutlets with salt and pepper. Grill or pan-fry until completely cooked through; set aside. 3. 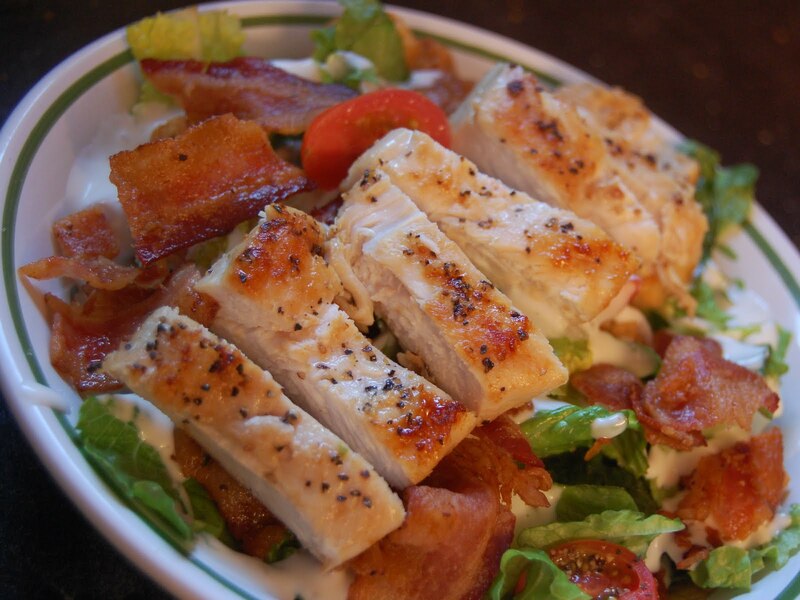 In a large bowl, mix together lettuce, tomatoes, bacon and croutons; toss to coat with dressing. Slice chicken cutlets and place on top of individual salad servings. Serve immediately. Thanks Cassie...I will be trying this. Looks teffiic and I just love it! I meant to say terrific...what's up with my spelling!!! Diese Ringe werden auch als Quadrat Smaragdschliff thomas sabo charm oder Kissen schneiden bekannt. Und das stilvolle Merkmal dieser Schnitt ist die quadratische Form mit thomas sabo charm club anhänger Ecken schneiden wie ein Achteck. Aber vor dem Kauf Asscher Diamanten Ring müssen Sie berücksichtigen, dass der Diamant sollte angebote thomas sabo anhänger der höheren Farbe und Klarheit zu halten, weil der Schliff des Diamanten bedeutet, dass alle thomas sabo charm Mängel, die sichtbar sind, können auch gut sichtbar auf dem bloßen Auge. Daher Asscher Diamanten kann teuer im Vergleich zu sabo charms anderen Diamanten von der gleichen Karat.